The debut studio album and thus far the only full length release from Radiation 4 is a very fine record that I've been listening to for a few month now. Originally, I was a bit hesitant of writing a review for this album seeing that there was always some new detail that I noticed while listening to the record. This effect has now began to wear down due to either the album's inability to surprise me any more or, the more likely reason, that my ears have started filtering out the details due to my overexposure to the material. Either way, it's safe to say that Wonderland is a record that I highly enjoy and will most probably continue to do so for years to come. It's far from a perfect release, mainly because of a lacking sound production which sounds unacceptable for a recording from 2003. Still, what it lacks in production this release more than makes up in the songwriting department. The opening track Silence Fiction might not sound all that interesting at first, but that's mainly because this songs is here to prepare us for the things to come much later on the album. A very bold and risky move indeed if you ask me! Tick, Tock, Tick. is the real album-opener and it's an amazing piece of composition work that will most certainly make or break this album (and Radiation 4) for most listeners. The record continues in the same brutal style nearly all throughout the rest of the material with the music often shifting gears completely while still retaining the high technical approach and not compromising the overall feel of the album as a whole. I'm sure that most listeners will have some comment in regard to Chris Negrete's vocal delivery since it's such an important part of the sound. To me, his guttural vocal style is far from perfect and comes off sounding more like screams than growls. The sudden shifts to operatic style might alienate people from the music if they don't try to be open-minded about it. I personally love every second of the operatic style vocals from Chris Negrete and actually hoped that he would have used them more often, which unfortunately is not the case. The album is actually rather short which is why the the 15+ minute closing number The Prize will be such an important part of the whole experience and this is also where my initial remarks regarding to the opener Silence Fiction finally comes into play. No only is the songwriting more fluent here but we also get a new surprising side to the band's sound which might not be all too obvious on the shorter tracks. Simply give this album a go and experience the magic for yourself! 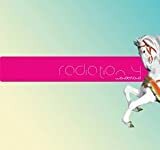 Post a review of RADIATION 4 "Wonderland"